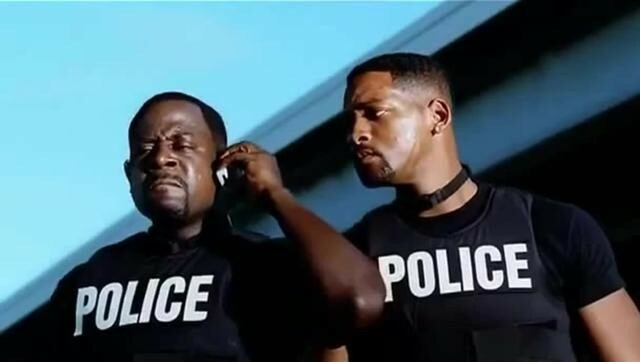 After countless push backs and date changes filming has finally started on Bad Boys for Life, the third film in a franchise that started way back when Will Smith was still the Fresh Prince and Martin Lawrence was coining his catch phrase "Whaazzzupp" in 1994. Will Smith posted the below shot Via Instagram earlier today showing Mike Lowery and Marcus Burnett back on the scene. Sure, they're a little worse for wear then the last time we saw them, and it looks a bit like maybe Martin Lawrence ignored that trainer the studio undoubtedly offered him, but they're back! I was a total fanboy for the first flick and the 2nd is a bonafide action classic at this point. The chemistry of the two is what always elevated the material, so as long as that's there I can deal with the rest.